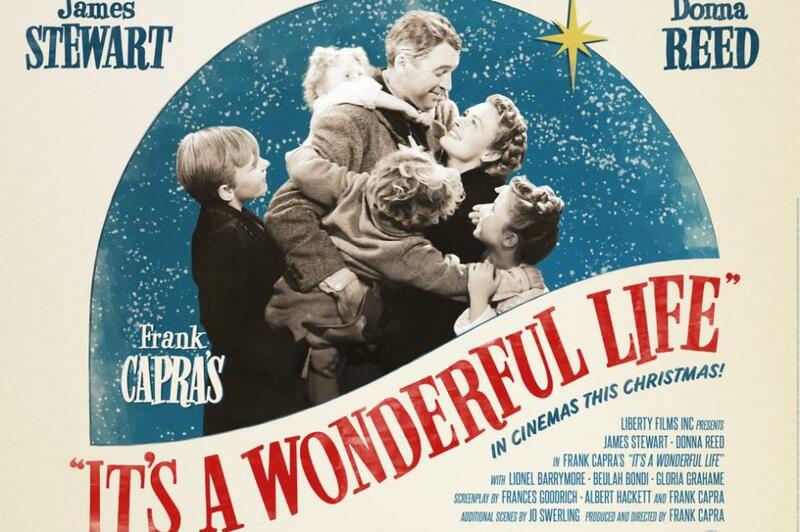 No holiday is complete without watching Frank Capra&apos;s classic It&apos;s a Wonderful Life, set in the fictional town of Bedford Falls, N.Y. Did you know Bedford Falls was inspired by Seneca Falls, a small town in the heart of New York&apos;s Finger Lakes, about an hour east of Rochester. Called The Real Bedford Falls by its townspeople, Seneca Falls is one of the most festive towns in America during the holiday season with its annual It&apos;s a Wonderful Life in Seneca Falls celebration, now in its 67th year. The inspiration for the iconic set design of Bedford Falls came after director Frank Capra visited Seneca Falls in 1945. Capra was on his way to visit an aunt in nearby Auburn when he stopped in Seneca Falls for a haircut, still in the early stages of planning his new film, It&apos;s a Wonderful Life. The film wasn&apos;t shot in a real town-rather sets were built at RKO Radio Pictures Studio in Culver City, California, and the RKO movie ranch in Encino with the town of Bedford Falls assembled over four acres, including a main street that stretched three city blocks, 75 stores and buildings and a working bank set. Though there&apos;s no recorded proof that Capra based Bedford Falls on Seneca Falls, the coincidences are striking-from references to nearby towns like Elmira and Buffalo, to the iconic steel truss bridge on Bridge Street, with a plaque commemorating Seneca Falls resident Antonio Varacalli, who leapt into the icy waters of the canal in 1917 to rescue a young girl and drowned after saving her. Visitors to Seneca Falls can relive the famous film by visiting the Seneca Falls It&apos;s a Wonderful Life Museum or enjoy a scenic walking tour of the town with stops at a number of iconic locations that helped inspire the film. The city also hosts the It&apos;s a Wonderful Life 5K, which travels through the decorated downtown, past historic village homes decked out in holiday lights and finally across the famous steel bridge. The highlight of any holiday season in Seneca Falls is the celebration of It&apos;s a Wonderful Life. This year the event runs from December 13-15, but kicks off with a pre-festival performance on December 12 of "Merry Christmas, George Bailey" based on the 1947 Lux Radio Theatre radio play. The festival features art, raffles, autograph sessions with actors from the film and a welcome reception at the Gould Hotel. Friday night caps off with a screening on It&apos;s a Wonderful Life on the large screen with a full audience at the Old Mynderse Academy. Saturday and Sunday are packed with more holiday celebrations, including A Taste of Bedford Falls, the Dance by the Light of the Moon and the ringing of the bells of Bedford Falls. 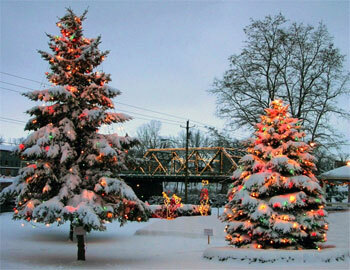 There&apos;s no place more festive to celebrate the holidays than the Real Bedford Falls. Visit Seneca Falls this season and see for yourself!